Thank you for your performance during the two days of our wedding celebration. We thought your performance was highly appreciated by our international group of guests coming from all corners of the globe. We also enjoyed your performance at the dinner. We are still confused on some of your nice magic. Here is a photo in memory of this great weekend. Thank you once more for helping us make it a magic one! 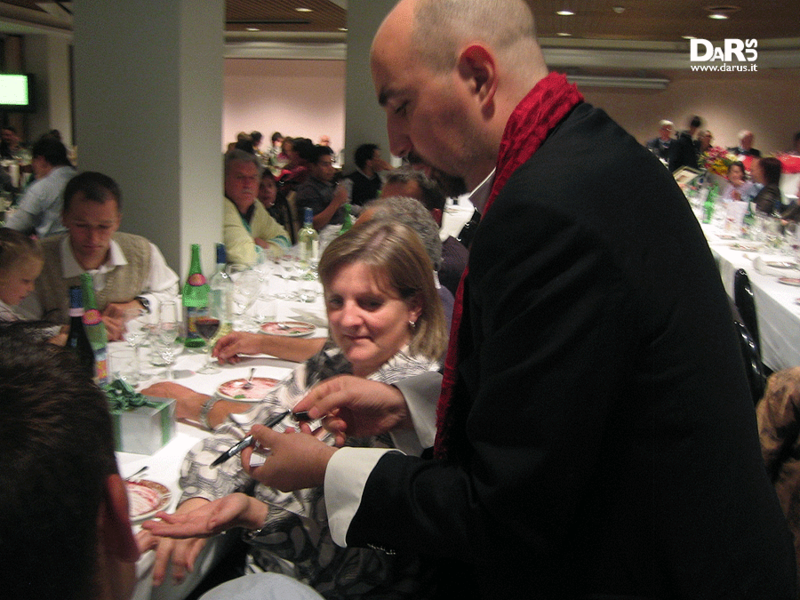 Are you finding an italian magician for your events? 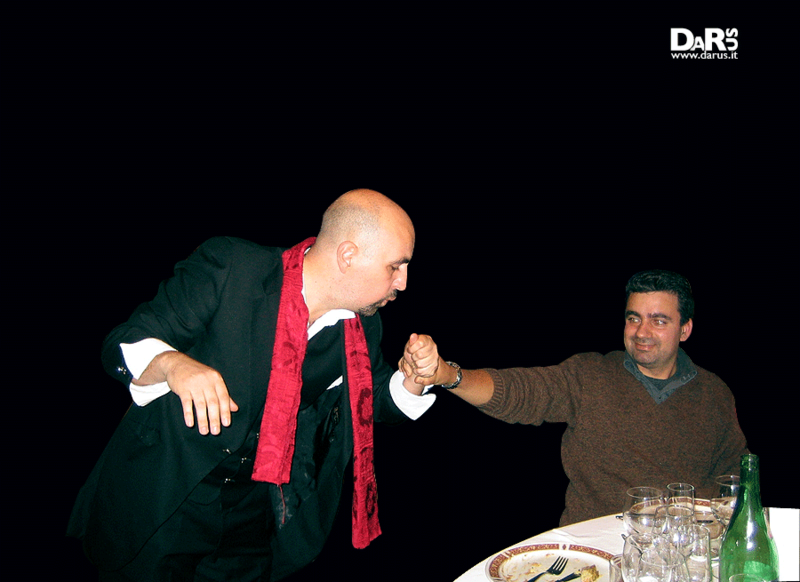 Darus is an entertainer/mind reader with a proved track record, specialized in shows for evening galas, conventions, corporate dinners, wedding shows and private parties in Italy. Our professional service allows you to choose the programme of entertainment best suited to your requirements. · but also magical effects, both classical and original with common objects taken from the tables and even more, to entertain and amaze all the guests, always with class and elegance. Do not hesitate to contact us stating your name, requirements and contact details. Weddings often bring together a mixture of different kind of people and magic is a good way to break the ice and have fun. It is a way to create a special day and make the occasion even more magical.The magic that happens, a few feet in front of the guests, sometimes in their own hands, will keep them talking about the event for years to come.Do not miss out on this opportunity. Our professional service allows you to choose the programme of entertainment best suited to your requirements. Every event has its own unique chemistry. I’m a magician and I often perform for weddings, both for Italian and foreigners. If you want a table magician, wedding magician or party magician in Italy, (mainly in Tuscany but not only) to make sure everyone has the best possible time, contact me now.